A cure is within our reach, and every penny helps. 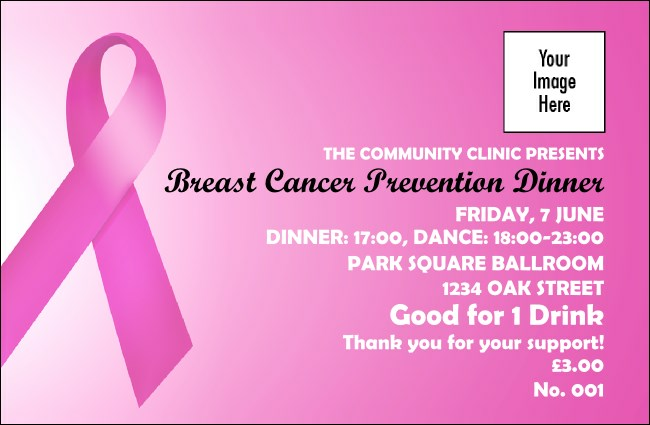 If you're trying to raise money to benefit breast cancer research, the pink ribbon symbol is recognized and respected. This Pink Ribbon Drink Ticket, with its matching Event Kit, in pink and white with a single ribbon decoration, features individual numbering. Do you part to work toward a solution. Start helping today with fundraising Event Kits from UK Ticket Printing.